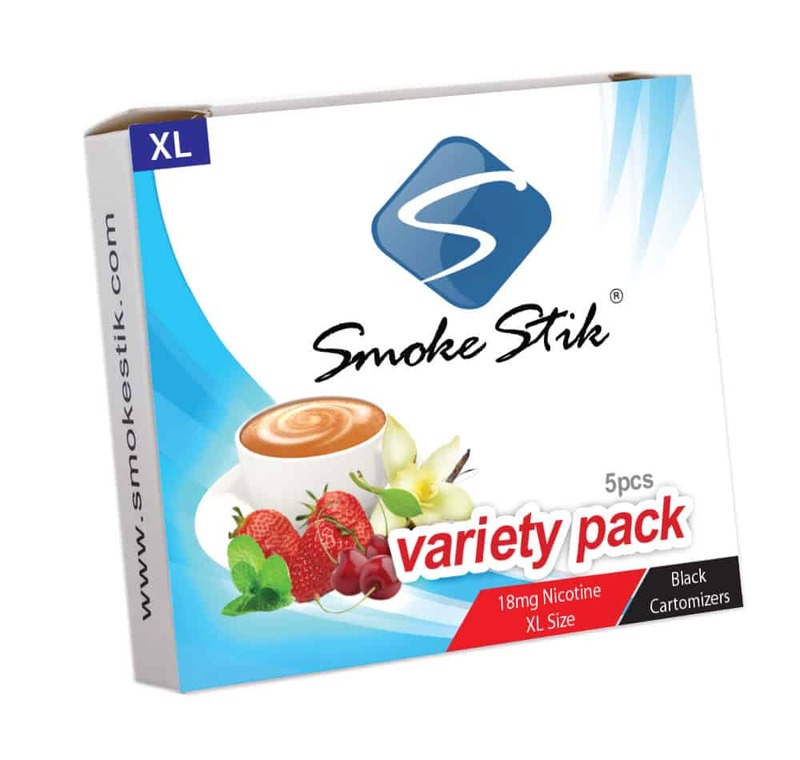 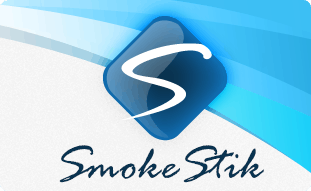 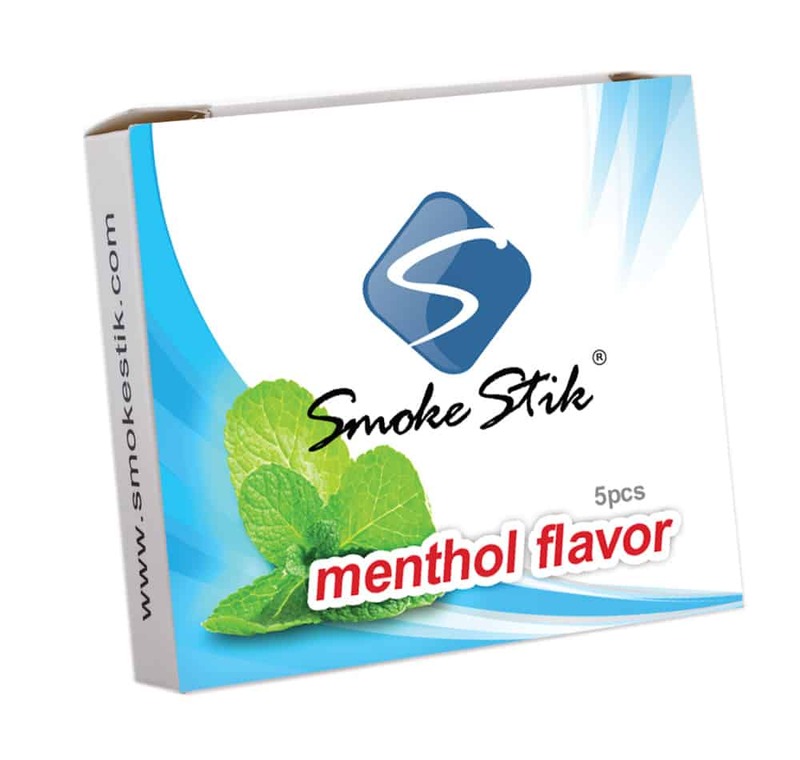 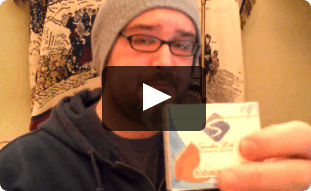 All you need to buy to get started with SmokeStik today! - Premium 180 mah battery is the same length as a regular sized tobacco cigarette and will provide about 90 puffs before recharging. 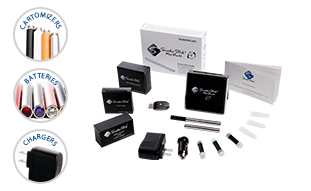 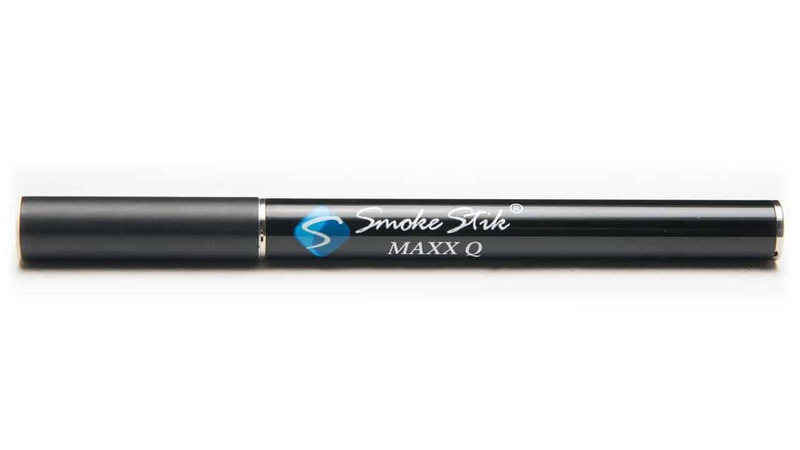 - XL Premium 250 mah battery is the same length as a 100 style tobacco cigarette and will provide about 125 puffs. 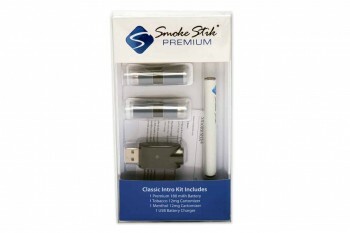 - XXL Premium 340 mah battery is ¾ in longer than the XL and will provide about 200 puffs. 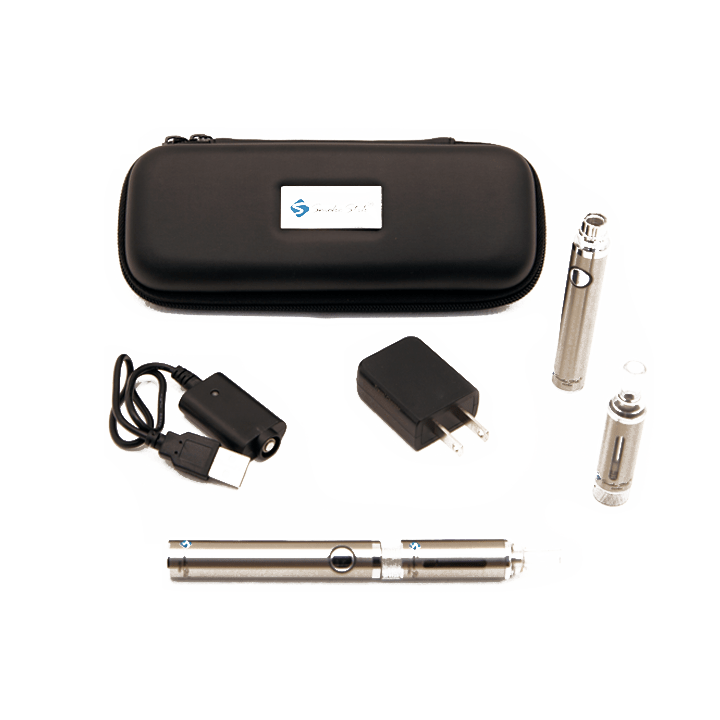 - Jet 180 mah battery in black enamel. 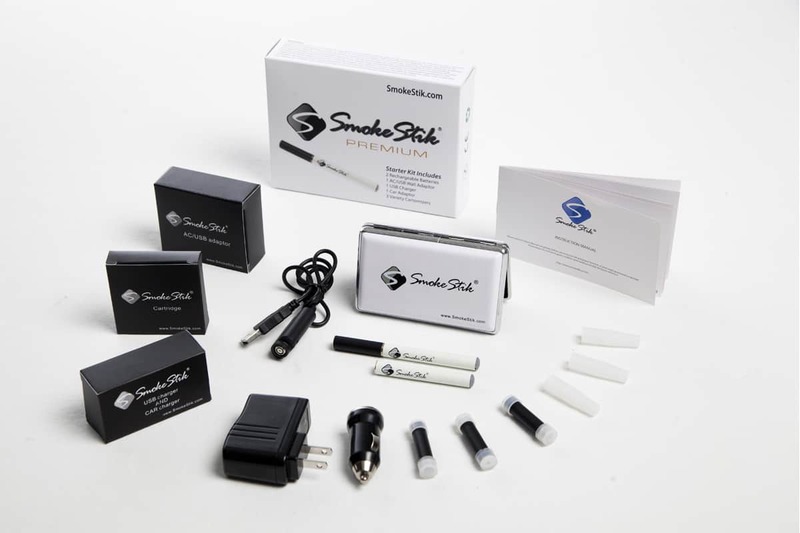 - Pink 180 mah battery in pink pearl with a clear jewel. 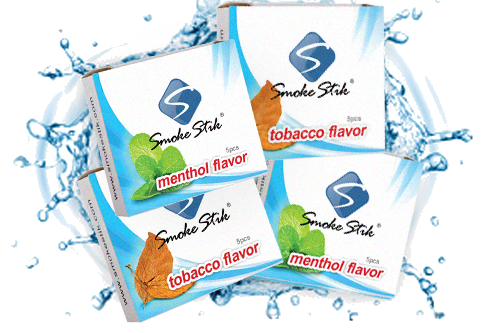 Two Medium strength 12 mg/ml cartomizers, one Menthol and one Tobacco. 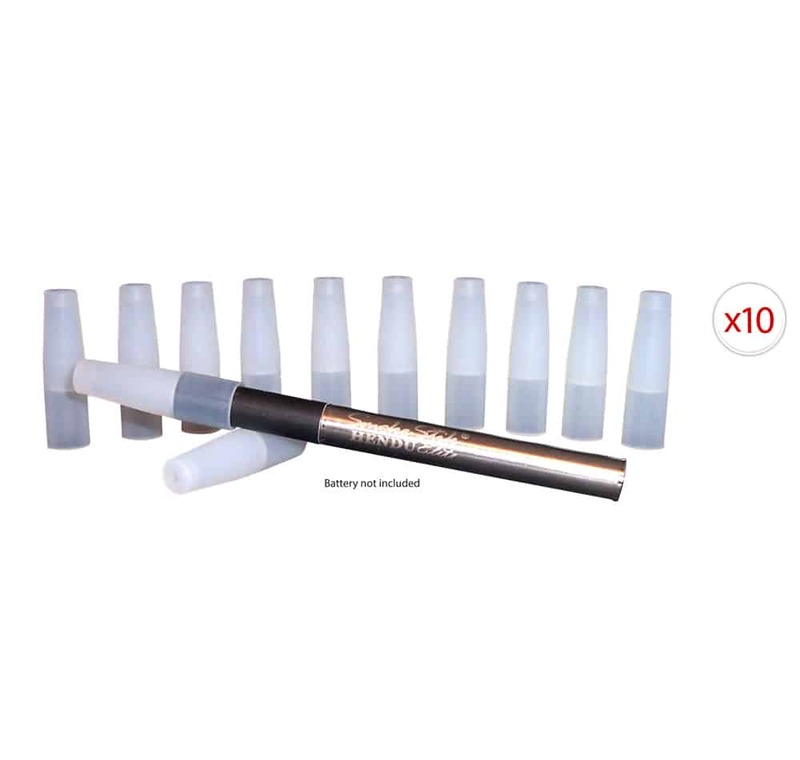 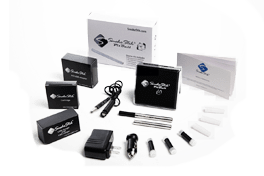 Each cartomizer will provide about the same amount of 3 second puffs as a pack of regular cigarettes.